Emma Kirkby is an English soprano singer and one of the world's most renowned early music specialists. She attended Sherborne School For Girls in Dorset and was a classics student at Somerville College, Oxford, and an English teacher before developing a career as a soloist. She was appointed Dame Commander of the Order of the British Empire in the 2007 Queen's Birthday Honours list. Blessed with a clear soprano voice and superb diction that some reviewers describe simply as "That Voice," Emma Kirkby has become one of the leading singers of medieval, baroque, and classical music, a diverse category that is sometimes referred to as "early music." Kirkby has also won plaudits for her down-to-earth sensibility; although her talent has been praised in superlative terms for a quarter-century, the singer has still marveled over her good fortune at making a living doing what she loves. As a sign of the unparalleled regard for her talent, the soprano scored a classical music coup in 2001 when she was asked to make the first recording of a Handel work that had been lost for more than 250 years. 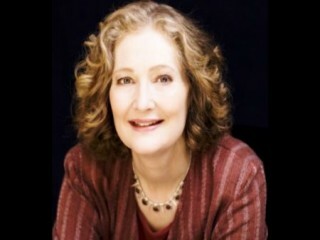 Emma Carolyn Kirkby was born on February 26, 1949, in the English university town of Cambridge. Surprisingly, music was not the dominant force in her early life, as she recalled in an interview with Gramophone magazine, "As a child, I didn't hear many singers--King's Cambridge at Christmas, Joan Sutherland. As a student I heard more singers: Nigel Rogers, Isobel Bailey, John McCormick, Julie Andrews, Petula Clark, the Beatles...." Although she took some voice lessons as an undergraduate at Oxford University in the late 1960s with Jessica Cash, Kirkby did not major in music. Instead, she studied classics at Oxford, devoting her time to the languages and literature of ancient Greece and Rome. "I did it because I enjoyed it," she later told Gramophone. "I didn't expect to have a singing career. It's been a helpful background. Renaissance masters studied Latin and Greek too. There are classical echoes in the lyrics. In a Handel duet the other day I found a translation of Horace. It's lovely to discover links--it's like meeting an old friend." While finishing her degree, Kirkby spent a year training to be an English teacher and began taking voice lessons in earnest. In 1971 she began to sing with the Taverner Choir, a pursuit that allowed her to develop her distinct style of singing in a collegial environment. As she later told Robin Page of the Esterházy Chamber Choir website, "I was lucky--in the early days of the Taverner Choir, we were a mixture of professionals and amateurs. In that kind of situation, the members of the choir take on solo roles rather than having to pay for professionals to come in from outside." It was not until she was 24 years old, however, that Kirkby became serious about pursuing singing as more than just an avocation. In 1973 she began a long association with the Consort of Musicke ensemble; the relationship led to a professional career as a performer and recording artist, in addition to her marriage to Anthony Rooley, the group's director and a well-known lutenist. Through the Consort of Musicke, Kirkby and Rooley soon became the leading advocates of early music, particularly music from the Renaissance such as madrigals--vocal compositions with two or more melodic lines--and lute songs. Kirkby often appeared in concert with Rooley; beginning in the mid-1970s, the two recorded a number of albums together and with the other members of the Consort of Musicke as well. Kirkby was also an active participant in the Academy of Ancient Music. The Academy was revived by Christopher Hogwood in 1973 to sponsor live performances of baroque music--dating from the post-Renaissance period, from about 1600 to 1750--and classical music, which embraces the period from the mid-1700s through the early nineteenth century. Although Kirkby recorded dozens of albums with the Consort of Musicke and as a solo artist on Hyperion Records, her first love has remained performing live. "I get a little disappointed when people want to make CDs of performances," she admitted to Page. "A live performance is such a unique moment, you can't capture on a disc all the things that go into it--the venue, the time of day, the audience mood and so forth." Indeed, the typical Kirkby appearance receives rapturous reviews for her mastery of the material as well as her connection with the audience. "Kirkby's consummate command of pacing, of the breath and nerve system of both word and note, and of the finest nuances of half-voice were in perfect partnership with the minutely sentient lute-playing of [the accompanist]," wrote a London Times reviewer of a June of 2001 performance. Discussing her style of singing in a Gramophone interview, Kirkby explained, "What I think about is diction and getting into the note. You need plenty of air and space. That with the breath means you can make the consonants very clear.... Clean beginnings are very important. If you speak well, roundly, the process is very similar in singing." Although her voice transports listeners, the singer herself has remained resolutely down-to-earth. "I sing most days," she told Gramophone, "but it doesn't matter if I don't. I can come back to it when I need to. If I'm learning something, I like to do a little each day." In her free time, Kirkby is busy raising a son, born in the late 1980s, and enjoys reading and listening to music. Although she is a fan of world music, however, she has not given in to the temptation to broaden her own musical repertoire, as she told Gramophone: "I like listening to venerable traditions, but I would not feel trained enough to join in. Some Indian singers train for twenty years. When you've got different modes and scales--be it Arab, Japanese, Indian--there are such amazing variations of pitch and suppleness, but I don't feel I have the training to join in with that sort of stuff." After a quarter-century as the best-known early music performer in England, Kirkby's recording catalog includes cantatas by Johann Sebastian Bach (1685-1750), sacred music by Claudio Monteverdi (1567-1643), and concertos by Antonio Vivaldi (1678-1741). She was perhaps best known, however, for her recordings of works by George Frideric Handel (1685-1759), a composer who wrote operas, oratorios, cantatas, and a slew of other works for vocal groups and instruments. In March of 2001, German scholar Joachim Marx--pouring through opera arias bound and stored away in the Royal Academy of Music in London--unexpectedly discovered the manuscript of a seven-movement, sixteen-minute piece based on the "Gloria" from the Catholic Mass. Although the piece was unsigned, it was immediately attributed to Handel, who probably wrote it during a stay in Italy in 1707. Kirkby was characteristically modest when approached by the Royal Academy to make the first ever recording of Handel's Gloria in May of 2001, saying in a Barnes & Noble.com interview that her relationship with the project was "simply coincidence.... Apparently what somebody had said was, 'Oh, this is far too difficult for singers nowadays.' And somebody else said, 'Oh no, there are singers who could do it. Emma Kirkby, for instance.'" Upon its release--just a few months after the manuscript was first found--the recording marked another triumph for Kirkby. "Happily, she's still in great voice twenty years after her first major recordings," wrote Lawson Taitte in the Dallas Morning News, adding, "The music is full of those high spirits we associate with Handel's name, and Kirkby's characteristic purity of tone and attention to words add to the joy." The enthusiasm generated by Gloria was particularly gratifying for Kirkby because it helped to revitalize interest in early music. "More and more people are trying to play in this way, and the standards are going up all the time," she told Barnes & Noble.com. Kirkby also looked forward to bringing lesser-known composers to the attention of the public. "That's where the real excitement is. How much is buried still in Italy, for instance? Just huge, huge amounts of repertoire," she continued, adding, "So, I think in this day when we've got amazing multimedia possibilities, and everything's on the Net, and everything's around, if people look, I think they can find incredible riches." - Madrigals and Wedding Songs for Diana , Hyperion, 1981. -Purcell: Songs and Dialogues , Hyperion, 1982. -Henry Lawes: Sitting by the Streams , Hyperion, 1984. -Hildegard: "A feather on the breath of God," Hyperion, 1984. -India and Monteverdi: Olympia's Lament , Hyperion, 1984. -Monteverdi: Sacred Vocal Music , Hyperion, 1984. -Time Stands Still , Hyperion, 1986. -The Emma Kirkby Collection , Hyperion, 1987. -Machaut: The Mirror of Narcissus , Hyperion, 1987. -Vivaldi: Concertos, Cantatas, Magnificat , Hyperion, 1987. -Dr. Arne at Vauxhall Gardens , Hyperion, 1988. -The English Orpheus, Vol. 5 , Hyperion, 1991. -Handel: Joshua , Hyperion, 1991. -Handel: Judas Maccabaeus , Hyperion, 1992. -Handel: The Triumph of Time and Truth , Hyperion, 1993. -Benda: Cephalu and Aurora , Hyperion, 1993. -Vivaldi: Opera Arias and Sinfonias , Hyperion, 1994. -The Spirits of England and France , Hyperion, 1995. -Handel: Opera Arias and Overtures , Hyperion, 1996. -Handel: The Rival Queens , Hyperion, 1997. -Bach: Wedding Cantata, Hunt Cantata, and Ich habe genug , Hyperion; reissued, 2000. -Handel: Opera Arias and Overtures II , Hyperion, 2000. -Handel: Gloria , Bis, 2001. View the full website biography of Emma Kirkby.